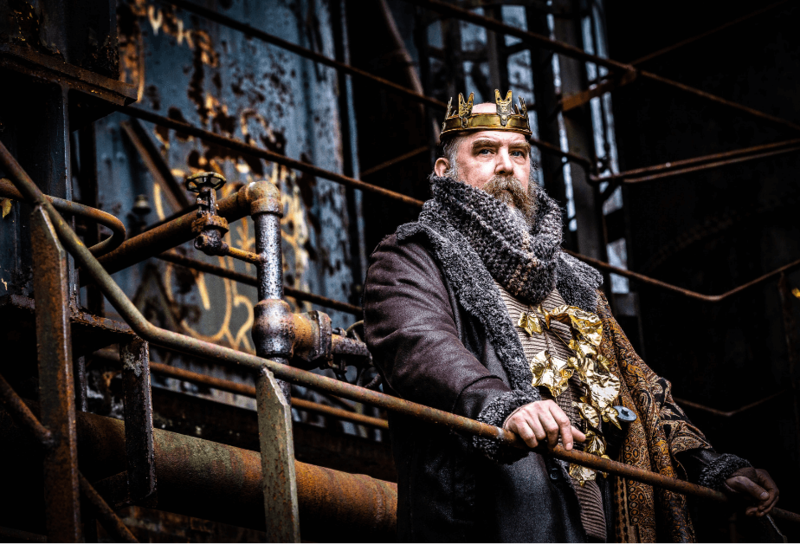 King Lear continues Quantum’s long tradition of reimagining classics in never-before-seen ways, staging Shakespeare’s greatest tragedy amidst the majesty of the Carrie Blast Furnaces and highlighting Pittsburgh’s history as an industrial giant. The vastness and intimacy of this story of grief, loss, and family values gone awry come into focus in this tight, 2-hour edit. King Lear stars Bricolage Production Company’s Co-Founders Jeffrey Carpenter and Tami Dixon alongside a stellar local cast. About the experience: Act 1 is staged in the shadow of the Carrie Deer, an iconic sculpture created from materials sourced onsite by the Industrial Arts Co-op in the late 1990s. Responding to nature’s resurgence in this post-industrial space neglected in the aftermath of the collapsed steel industry, these guerilla artists included Jeffrey Carpenter (playing Lear) and Tim Kaulen. An intermission walk takes the audience to seating in the Iron Garden for Act 2, where native plants and concrete relics evoke ancient Britain. In the twilight of a stone-ringed clearing, the audience intimately experiences the king’s exile and madness. Sunday, May 19, 7:30 p.m.
Wednesday, May 22, 7:30 p.m.
Sunday, June 2, 7:30 p.m.
Pay What You Can Night: Wednesday, May 8 – You choose the price for this preview performance of King Lear. Book in advance online or pay any amount at the door. about Shakespeare’s masterpiece and the themes they sought to bring to the foreground with their new treatment. Ample free parking available on-site.